This includes, but is not limited to misdiagnosis, prescription drug errors, surgical errors, birth injuries, failure to treat illnesses and diseases, delay in treatment, and negligence. 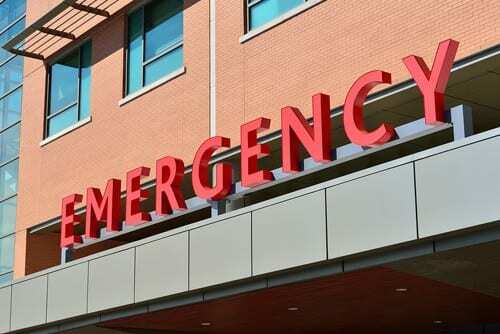 In some cases, a patient dies as a result of the negligence by the healthcare provider, which is called “wrongful death.” A claim for such a death may be handled in tandem with a malpractice claim. Medical malpractice may happen to children, adults, and the elderly without their knowledge. A healthcare provider should be someone a patient can trust, not a source of distress and threat. Medical malpractice is a traumatic experience, and the attorneys at the Bernard Law Group will make the process of seeking restitution as simple as possible for you or your loved one. A surgical error is a situation in which an attending surgeon, anesthesiologist, surgical resident, or nursing staff causes an error that results in an injury. These mistakes may include but are not limited to, surgical instruments, poor positioning of the patient, or unsuitable use of anesthetics. In some cases, the physician may have performed a surgery on the wrong area of the body. With the high number of surgeries performed annually, errors in the operating room are becoming more and more common. During pregnancy, women have regular tests that monitor their own health as well as the progress and development of their unborn children. Pelvic examinations, various blood tests, tests of the baby’s heart rate, and other exams are routine. Injuries that occur during prenatal care and/or delivery may leave devastating and possibly permanent effects on the mother and child. Some of these errors may result in debilitating disabilities, including Cerebral Palsy. Cerebral Palsy (CP) is a disorder characterized by muscular tightening, delay in motor skills, seizures, and neurological problems. It occurs in approximately 2 to 4 individuals for every 1,000 births. CP may involve one arm and one leg, both arms, both legs, or all limbs. If the CP is severe, the child may require a wheelchair for mobility and other devices to make tasks easier. CP is usually the outcome when a baby’s brain has suffered damage prior to or during birth and is commonly caused by an infection or lack of oxygen. In the United States, more than 300,000 people die from breast, colon, prostate, and lung cancer annually. These diseases, along with skin cancer, and other gynecological cancers have a higher likelihood of misdiagnosis than other forms of the disease. Early detection is important to stop cancer from spreading. If you feel that you have been treated by a negligent doctor or that the diagnosis of your cancer was not discovered in a timely manner, you may have a medical malpractice case. The Bernard Law Group has years of experience in this type of litigation. Our skilled attorneys will investigate the facts, assess your claim, establish which parties and insurance companies are to be held responsible and organize all of the details of composing and presenting your case. IF YOU, OR A LOVED ONE, HAVE BEEN SERIOUSLY INJURED DUE TO MEDICAL MALPRACTICE – CALL TODAY FOR A FREE CONSULTATION!